This filly is the one we have been waiting for and, if we had not acquired Serya Raven, she would not be. 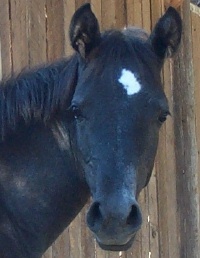 Bright Day's first foal was stillborn; we had to bottle feed her second, Wyntez Buddy, for about three days until he could suckle on his own; her third, Retez Guy, was perfectly normal; her fourth, Ventez Noodles, MayDay's full brother, lived only 32 hours. With so many heartbreaks for Bright Day, and for us, we hesitated to breed her. 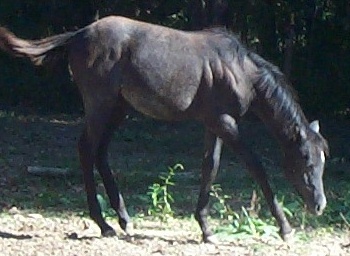 Now, we are glad we did because Bright Day is very proud of this foal. MayDay is Bright Day's last foal.